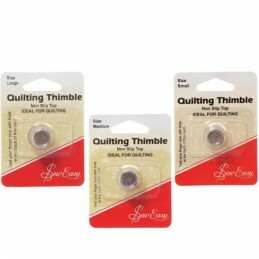 General use thimble, ideal for most general sewing tasks. Size: Large. This leather thimble covers the full length of the finger and has a wide band of elastic for mobility and comfort. Open side vents allow the finger to breathe. 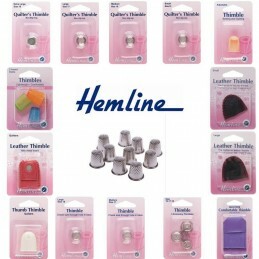 Leather thimble conforms to finger shape, and is soft and comfortable to wear. Size: Large. Soft leather thimble with small dimpled metal plate. 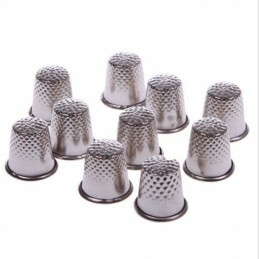 Assortment of super light, extremely comfortable thimbles with reinforced tops. 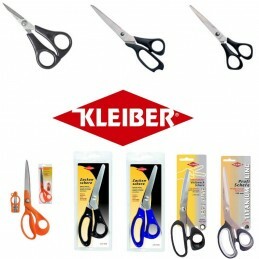 Soft and pliable, safe and practical to use in 3 different sizes. 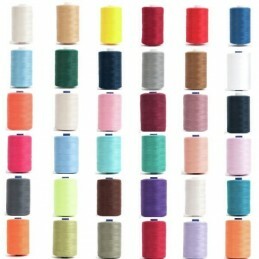 Adjustable thimble with an open back to fit any finger size. 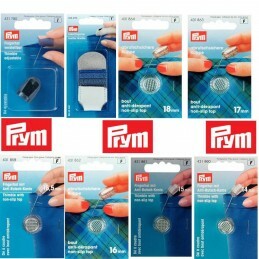 Protects forefinger and finger tip whilst sewing and quilting. 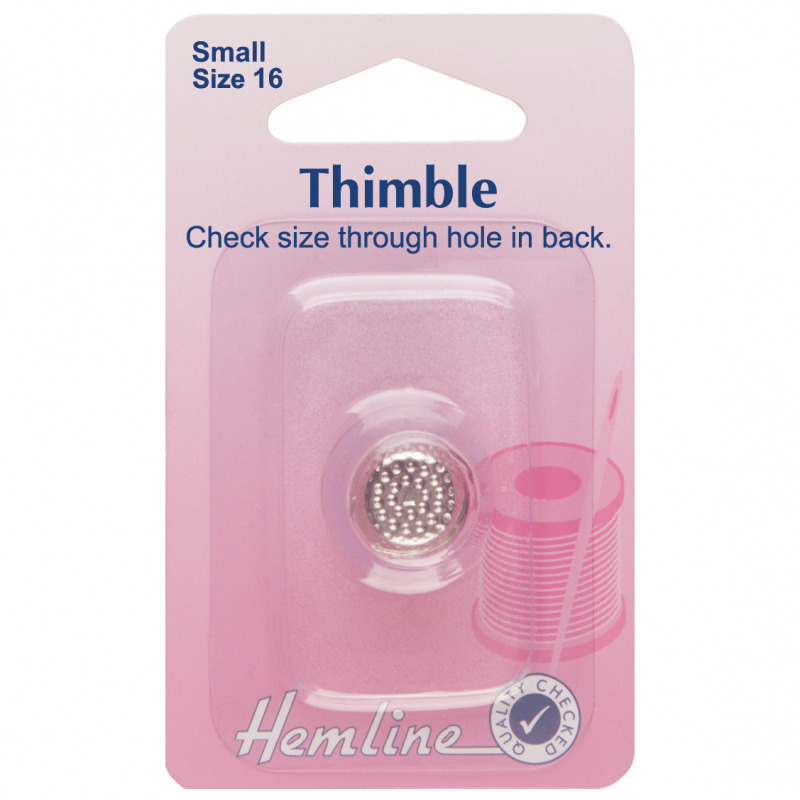 Raised rim of this thimble prevents the needle from slipping and helps it to pierce the fabric more easily. 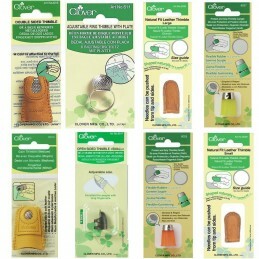 Protects the index finger when hand sewing, quilting or darning.